The DisGeek Podcast and The Disneyland Gazette join forces and talk about the one year Anniversary of the Disney California Adventure 2.0 Expansions. We also have a HUGE announcement so check it out! The Unofficial Stars Wars Day at Disneyland is Coming! – June 30 2013, we’ll meet in front of Sleeping Beauty Castle at 2pm for the big group photo. Star Wars fan clubs usually meet for lunch at Pizza Port at noon. All Fan Force, 501st, and Rebel Legion members and any fan of Star Wars is invited! 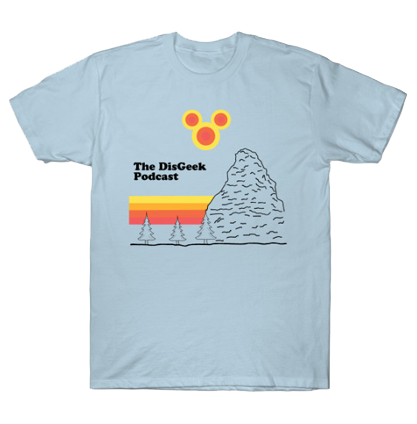 So find your favorite Star Wars t-shirt and get out to Disneyland on the 30th. Tony Baxter Career Celebrated – Tony Baxter celebrated his retirement from Walt Disney Imagineering at Club 33 this week. Guests included retired founder and chief archivist Dave Smith, Richard Sherman, imagineers and friends. Changes include. New Carthay Circle Menu, Windows of BVS, Unused fastpass area for RSR converted to extra retail space for Ramones, Beach Ball removal from luigi’s flying tires. Going off you’re chat on getting stuck on a ride. I got stuck on Radiator Springs. It was the end of the night & we were one of the few riders. We get on the ride & right before we are about to enter the dark portion of the ride after passing the waterfall. It stops. We ended up waiting about 15, 20 minutes. Supposedly a cast member pushed the emergency stop button. I honestly think it was a purpose act to close the ride early. Though I wish I got to ride the complete ride, I enjoyed getting stuck because I got to walk the beginning tracks and take pictures next to the waterfall. However, I wished he/she pushed the emergency stop button in the dark part and hope to see the inside. Nonetheless, cool experience.